Wowza! Let's talk about one of the most interesting books I've read in a long time, Origin by Jessica Khoury! This review is a little different, because there have been some pretty heavy crusaders out to kill Origin, and I have some things to say about it. Perfect Pia (the original title of origin was to be "Perfectly Pia") was "created" in a laboratory. She was born just like any other child, but she has been genetically engineered to be immortal and perfect. Scientists in a secret Amazon facility called Little Cam, which is short for Little Cambridge. The facility is surrounded by an electric fence and Pia's room is completely made out of glass, but this doesn't seem strange to her, because it is all she's ever known. At 17, Pia is finally about to take her final Wickham test (horrible heinous tests she is put through to prove she is capable of being a scientist) and finally be allowed to know the secret behind her immortality and begin to create a mate for her in an effort to start a new race. But a new arrival to Little Cam, who Pia call Dr. Klutz, asks Pia why she doesn't question what is on the other side of the fence. That puts a seed in Pia's mind and she sneaks outside for the first time, with her super awesome jaguar pet, Alai (because who doesn't want a majestic jaguar as a pet?). She meets Eio and begins to discover that maybe being perfect isn't all it's cracked up to be. Pia uncovers the truth behind her immortality and the devastation that has led to her birth. Reception for Origin has been mostly awesome with a few ridiculous Debbie Downers out there. If you look on Goodreads, you'll find all sorts of naysayers talking about the HORRIBLE (sarcasm) topics in Origin. Of course, Jessica Khoury is promoting racism, abusive relationships, women as objects, and animal cruelty (sarcasm again). Come on, people. Just because she wrote about it doesn't mean she believes in it. Ms. Khoury created a FICTIONAL VERSION OF THE WORLD and took creative liberties to really express just what it was like for Pia growing up. So, she was ignorant, and she fell in love with Eio, even though he's the only boy she's ever met, and so the scientists perform horrible experiments on animals. Those elements are all super important to the plot. Pia is ignorant because she's been made to not question ANYTHING. Maybe Eio is the most awesome boyfriend material in the entire Amazon, we don't know. And animal torture was 100% necessary to understanding the steps the scientists took in order to create Pia. I believe it was something like 150 years that they had been working towards it. We test new medicines on rats, same kinda thing. But, no matter what the Debbie Downers say, I LOVED Origin. 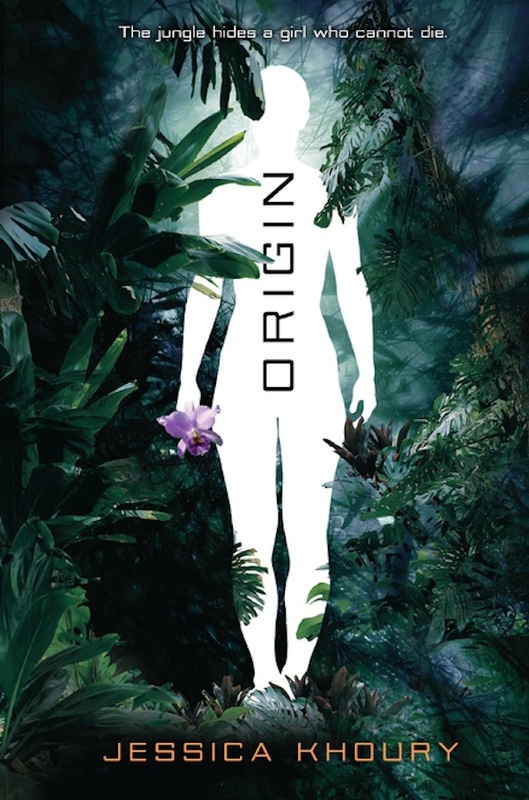 I thought it had a really unique and interesting plot line and I can't wait to see what Vitro, Jessica Khoury's next YA release, has in store. I read the first chapter and I'm already hooked. All in all, 5 out 5 stars to an incredibly original story idea from debut author Jessica Khoury! If you want to know more, you can find Jessica on her website, which is a visual masterpiece.